I was not paid to do this review, and at the time of publication, Thule had no sponsorship relationship with SurvivalCommonSense.com. 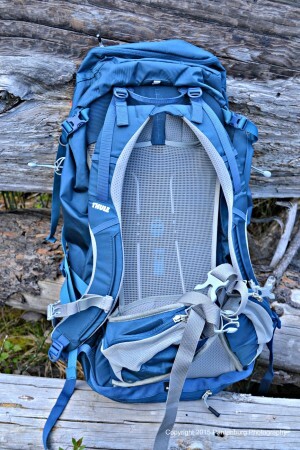 Thule supplied the backpack for review. All I ever promise is a fair test and review. 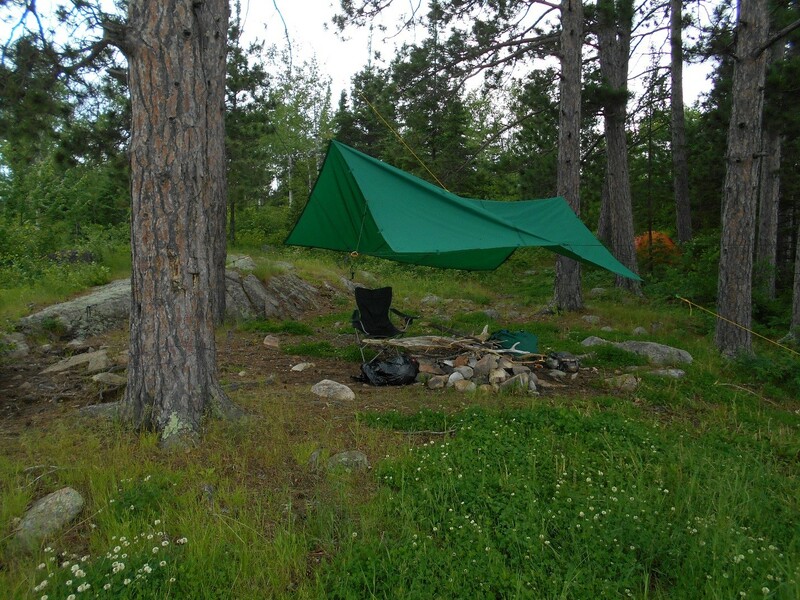 Your backpack can make or break your wilderness experience. Choose a good one. This Thule might be a good choice for you. In 1976, I was a brand new graduate of Iowa State University, completely broke, and wild to experience backpacking out west. I carried the Thule along the Pacific Crest Trail and in the desert to check out how it would work in different environments. So I spent almost $100 on a top quality sleeping bag (Minimum wage in Iowa at the time was $1.60 per hour!) and later spent $105 on a Kelty Tioga external frame backpack. Those were two of the best outdoor investments I ever made. I finally wore out the sleeping bag, years later, after several major backpacking trips and a six-month, end-to-end canoe voyage of the Mississippi River. 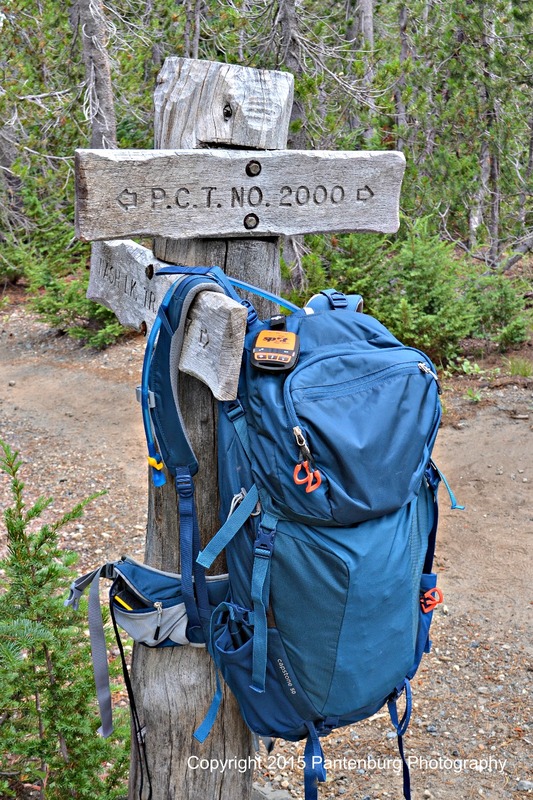 The Kelty hauled gear for well over 1,000 miles of backcountry hiking and hunting. 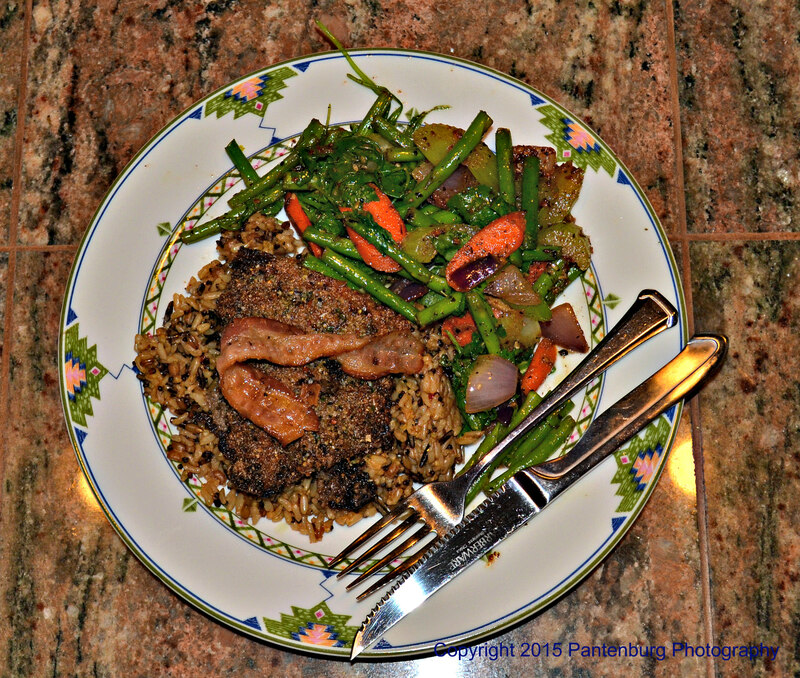 I used the frame to pack out meat. Today, it hangs in a place of honor in my garage, quite capable of handling any backpacking trip it might be needed for. Don’t scrimp on your backpacks, hiking boots or sleeping bags. And I don’t – that’s why my garage looks like the site of a sporting goods store clearance sale. So I was interested in the Thule Capstone 50 Backpack. Billed as a “minimalist backpack great for hikers looking to move fast without being weighed down with a bunch of heavy, needless gear,” the Thule is a practical piece of gear. Field testing any backpack takes time, IMHO, because it needs to be used in different situations, weather conditions and environments. In Central Oregon, that means desert and mountains. I’ll take the Thule out in the snow when winter hits. The idea was to haul a heavier-than-normal load (for me) in hot temperatures so I would sweat alot. This would create the worst possible circumstances for rubbing and chaffing from the heat, weight and moisture. The other extreme was a hike along the Sisters Mirror Lakes trail in the Oregon Cascades. This was a somewhat cooler jaunt in the trees, but with more elevation gain and loss. I carried about 30 pounds, for the workout, and to test how the pack carried. No problems in either environment, despite me asking for it. The pack’s MicrAdjust® suspension system works really well. It allows customizing the fit to the individual torso. The tensioned back panel provided support and breath ability out in the desert. 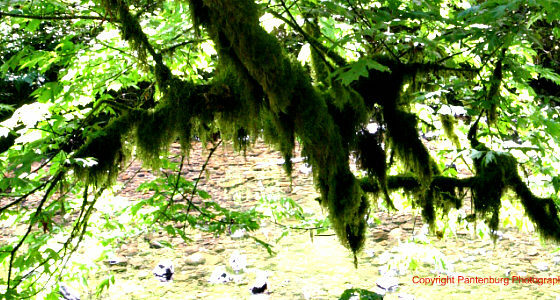 In the Cascades, I was able to hike rapidly all afternoon without sweating through the back of my tee shirt. This is huge – wearing a damp shirt when it starts to cool down is really uncomfortable. The suspension system was easy to adjust while hiking. There are four points where you can adjust the shoulder straps and waist belt. This allows for tightening and loosening as you go. At the end of both outings, I didn’t feel soreness on my shoulders or in my lower back, where the weight is carried. The suspension system is the strong point of this Thule. It didn’t rain, but there is a detachable rain cover to protect the pack and gear. Access points at the top and side are well-situated and grant access to gear easily. 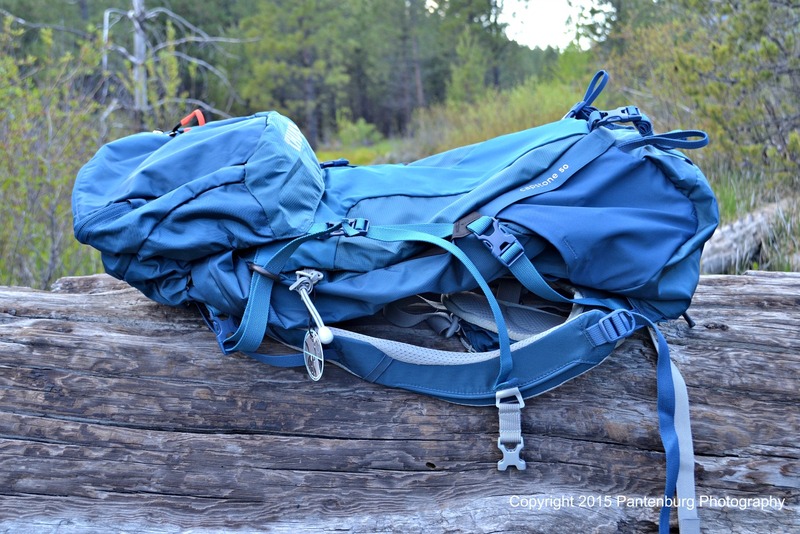 If you use the “bags of bags” concept of backpacking, and put different categories of equipment together, you shouldn’t have to take everything out to find a specific item. The large pocket on the back of the pack is well-situated. I stuck my rain poncho there for quick access. Side compression straps cinch your load down. This is always handy to secure your load and keep it from shifting. 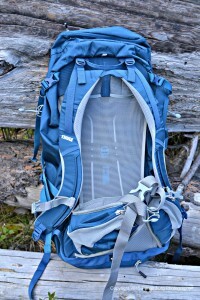 This gets to be really important if the pack is being used on mountain trails. It also means you can use this Thule as a daypack without your gear rattling around. A hydration compatible design means you can use the bladder system of your choice. My old Camelback 70 ounce system worked just fine. The narrow profile is wonderful. I can swing my arms freely as I walk, without hitting the pack on either side. This is important if you’re going to use this pack snowshoeing or cross-country skiing (which I will) with trekking or ski poles. Pockets on the waist belt are required, IMHO, for carrying your GPS, navigation gear or a beacon signalling device. My Garmin GPS and SPOT GEN3 fit like the pockets were made for them. Stowable trekking pole and ice axe attachments are available. These would be really handy if you got to the point where you needed your hands free. Bottom zip for bottom access and shaped to create a bucket effect for easy packing and smooth zipper flow when full. Straps on the bottom for a sleeping bag or mat are well-located. I worked overtime to find something about the Thule that wasn’t just right. And this is bothering me – I can usually find some ticky little thing to complain about on any piece of gear. So far, I’m not finding it. The Thule retails for about $200, which is a reasonable price for quality equipment. I think the Thule Capstone 50 Backpack is an excellent backpack and I will be using mine frequently.